Since 1949, the best church kneeler you can buy. 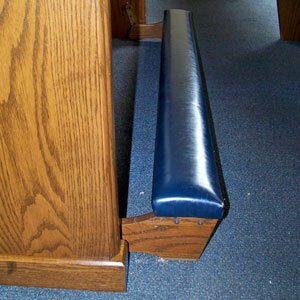 Whether you are looking for brand-new church kneelers or simply want to repair or upgrade your existing pew kneelers or chair kneelers, Artech has the product selection and expertise to meet your needs. We handle every project detail for you, from taking measurements to installation. 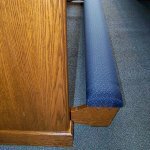 Artech pew kneelers stand up to years of use, because the support frames are made of heavy gauge metal. The thick plywood kneeler base features specially formulated, non-crumbling polyurethane foam padding, covered with wear resistant vinyl or fabric upholstery in your choice of colors. Nylon bearings, rubber shock absorbers and newly designed integrated rubber foot pads combine to ensure silent operation. 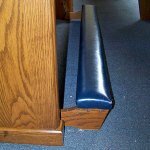 Our pew kneelers and chair kneelers are the best you can buy and at a reasonable price. All-metal frames: lightweight and durable to provide long, trouble-free service. Large, cushioned rubber feet and nylon bearings: absorb shock, protects floors, and assures silent operation. Rubber stops: absorb shock to prevent “banging” noise when kneeler is raised. 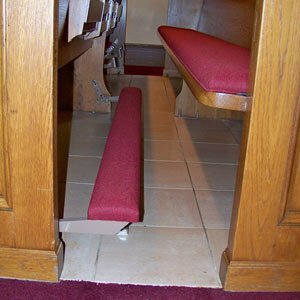 Optional: Spring-action kneeler lifts provide finger-tip raising and lowering control. 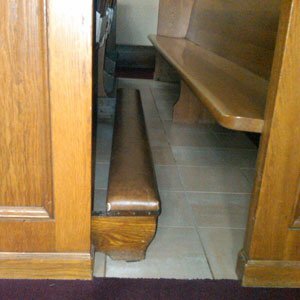 They offer complete comfort and quiet devotion, without embarrassing or disturbing kneeler noises and thumps. No matter how old your current kneelers are, you can obtain a variety of easy-to-install upgrades or replacement parts. 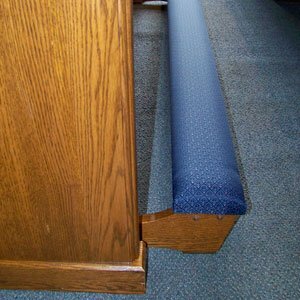 New upholstered kneeler pads may be ordered to match church decor changes. Or you can replace your old-style kneeler legs with our new, guaranteed unbreakable leg design that features an integrated rubber foot pad that can’t be removed or fall off.